Straps are already tight on my 2.5 year old and that is with minimum clothing so doubt it will last till age 4 but great as an occasional seat! I got this as my little was getting to big in her first car seat. This is brilliant, easy to use, so comfortable and the twisting is amazing! 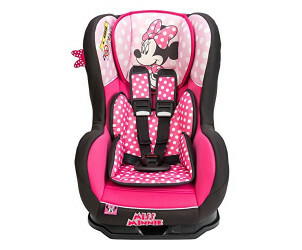 I have this car seat for my 3 year old daughter, she has been in it since 12 months old & it has lasted well. It is comfortable with plenty of space even at her 3 years (almost 4! ), It has proved to be extremely secure, easy to install also, requiring less than a couple of minutes to fit into the car. The covers are removable which is fantastic when your children are a bit messy. Overall, I love this car seat and would recommend it to everyone. well i got this for my niece, whats not to love for a little girl, not only is the design great that she cant wait to sit in it, the comfort for her is amazing and makes car journeys so much easier. you also cant argue with the price either, thumbs up all round. My little boy has had this car seat for two months and he fits in it perfect however it moves a lot going around corners he seems very happy in it and has lots of room. Had this car seat when my now six year old was a baby. Found the car seat easy to install into any car, baby looks comfy and happy to be in it and has a cute disney theme design which is an added bonus. 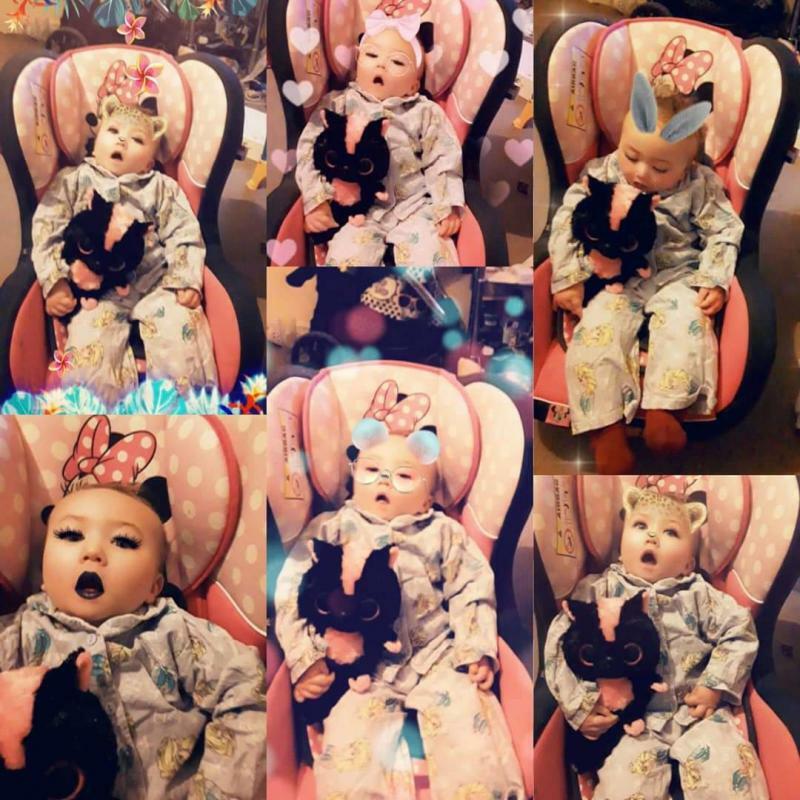 My little girl loved her Minnie Mouse car seat was very comfy.reclined as well so if she fell asleep could lay her back a bit.every one commented on it as was nice and would recommend it to other parents. Very comfortable, lies back into 3 positions, easy to fasten, lightweight if transferring between cars then this is good, can be rear or forward facing, looks lovely. my little girl loves her seat really handy to put in an take out easy to use an no complaints for my little girl she lives it. Lovely seat and design but it's spacious in the wrong areas compared to cossato or kochi. We tried this seat for my daughter it was super cute and great value. We found you can try the car seat at Smyths prior to purchase also! We've used this seat for nearly 3 years now and is still in a great condition ready for my next one. It's simple to use and my daughter loves it. It's comfortable and the straps are easy to adjust. Fits easily into the car too. Only downfall is that the alarm in the belt goes off occasionally when not in use. My girl absolutely loves very comfortable , great design good value for money, would definitely recommend to anyone, fits nicely in car , easy to install. Would defiantly suggest lots of you mummies to give this car seat a try, it is so comfy for the little ones and makes car journeys a lot better! Also the design is very cute too, very girly. I bought this car seat for my child when she was 1 year old and i honestly think its one of the best as its easy to recline when baby is asleep and very comfy and padded out. Strong, sturdy, and my daughter loves it! 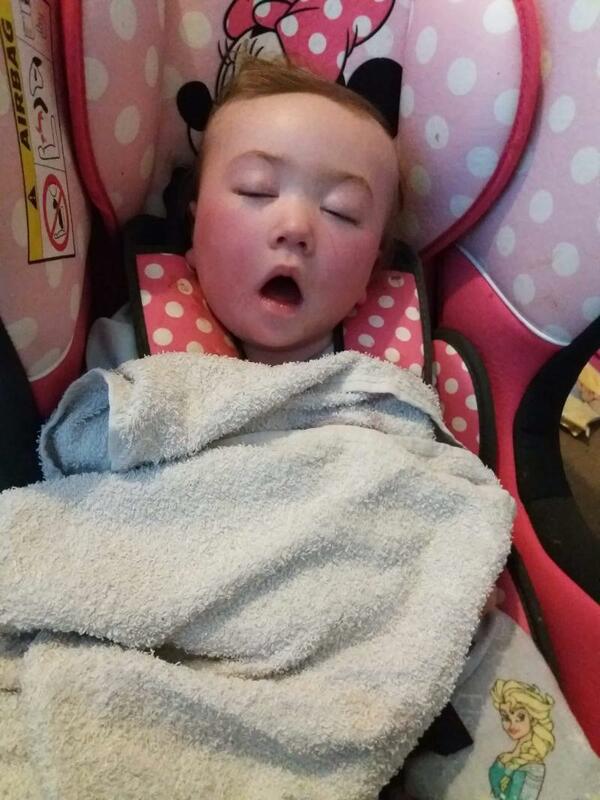 My daughter loves her Minnie Mouse car seat! It’s excellent quality, easy to wipe down and will fit her for many years to come hopefully! I’m so glad I paid a little more and got this one, feel like iv not only spoilt my little one but me to!! I like this car seat but I found it hard to fasten the straps our little girl uses it she loves it it's very safe never had any problems apart from just a little hard to fasten. Easy to fit , nice design ,but my child can’t sleep in it for longer than an hour because her head falls forward and it’s not comfortable then. 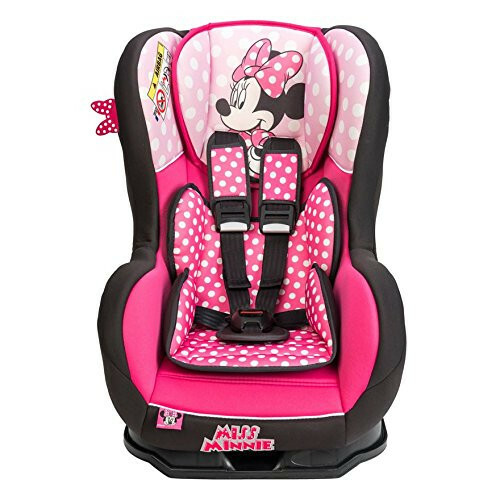 The Disney Minnie Mouse Cosmo SP Luxe is a safe and comfy Group 0-1 car seat for children from birth to 18kg/40lbs (approx. 4 years). It boasts excellent side impact protection and comes with a removable newborn body support cushion. It also features head support and chest/buckle pads for your child's safety and comfort. There are individual harness tensionners that ensure both sides of the harness are taut.